My friend, and fellow CrossFitter, Sam, recently went on a work trip that involved a hotel stay. When she arrived, she posted on her Instagram story a sweeping view of the hotel gym she had to work with for the length of her stay. Needless to say, it wasn’t her usual set-up … essentially, her options were a few pieces of cardio equipment and some dumbbells. For those of us who are used to the convenience of having a full gym nearby that provides all the fitness (kettle)bells and whistles, this sort of situation can be somewhat disconcerting. But it certainly doesn’t have to be — it’s totally possible to get a great workout with just dumbbells. With so much awesome fitness equipment out there, we’ve gotten a little away from the basics. Let’s breathe life back into this old faithful fitness friend, shall we? In my last post, we covered the best dumbbell exercises for your chest. This time, we’re focusing in on your booty. When it comes to working your glutes with dumbbells, there are some serious advantages. Dumbbells force you to stabilize differently than with a barbell. Because only one arm holds the weight, there tends to be more movement that your body is required to control through the full range of motion, translating to more functional strength. Through combining dumbbells with single-leg work, you can also create more balance in your body because each side of your body has to be able to work independently. 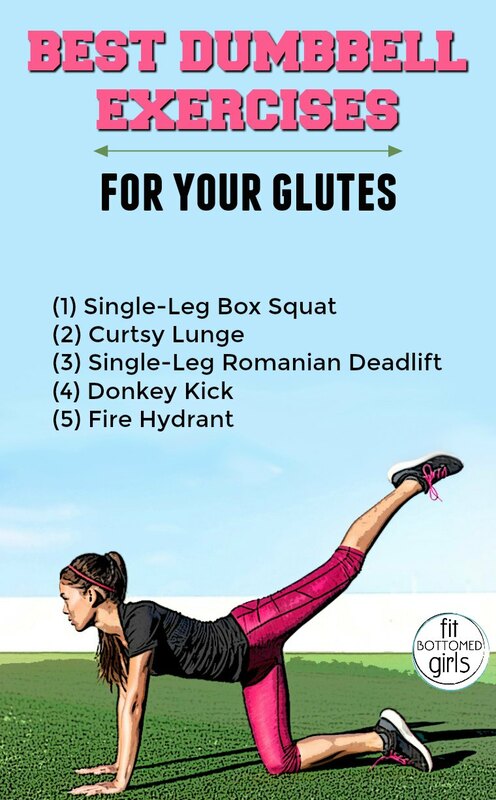 If each of your glutes can perform well solo, they’re better able to perform better in concert with each other. And if you want a visual of what each move looks like, check out this demo video. Nice post and nice read very informative and motivative i really like it thanks for share. 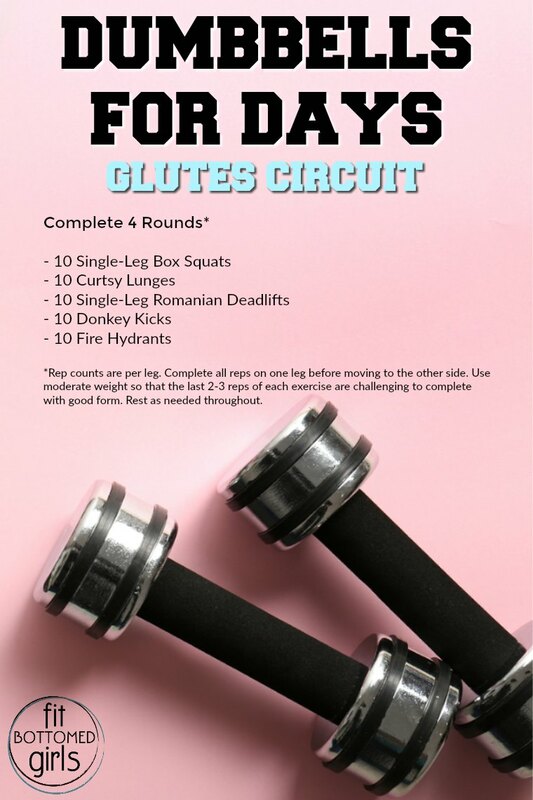 Your Glutes Circuit Workout contains some of the most effective sculpting exercises for an area that can be difficult to shape. It also reminds me that I need reintroduce Curtsy Lunges into my workouts. Thanks! 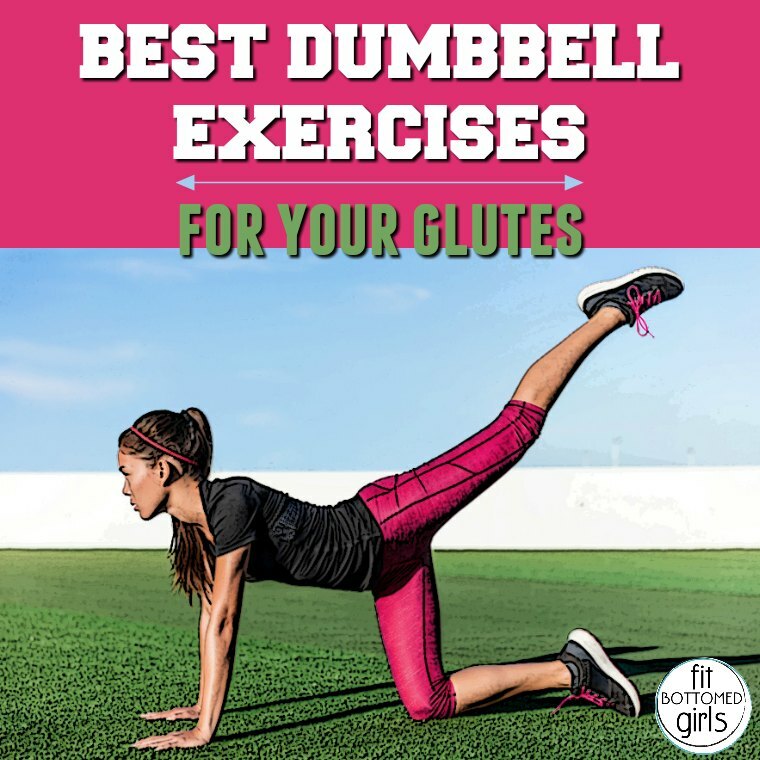 Thanks for share dumbbell exercises Glutes, very informative post. The health and Fitness have been closely related ever since fitness was first defined, because this sport involves good physical shape built on good state of health. The Cardio boxing training classes and the innovative variations of the sparring jabs, power punches, defense, and fitness has all blends of aerobics exercises. We will learn the proper execution of the punch and kick combinations for a more intensive work out that can help you become stronger and more confident.